I wanted a new challenge and thought running was something Id never be able to do. I saw the advert for RunVerity so thought I would give it a go. I kept it a secret from my 'running' friends and then surprised them when I graduated. I am now more active, lost a little weight and can say I can run. This has motivated me into training for the Great South Run. Starting the pre-beginners with Emily was great - she made us laugh and we all found it enjoyable. Being able to run for just 1 minute felt like such an achievement. The encouragement meant the group all moved into the beginners course. Coaching in the beginners was really informative. Not only did I learn about my running style, using my arms etc. but the articles were also really helpful. Since graduating the beginners, the coaching has helped me to run faster, further and about looping. Its a fantastic support. Join! I never thought I could achieve what I have done and also enjoy it at the same time! I've even made some friends along the way. Verity, Emily, Dee, Helen & Charlie - are great. Very supportive, answer any questions and always there to motivate and encourage. 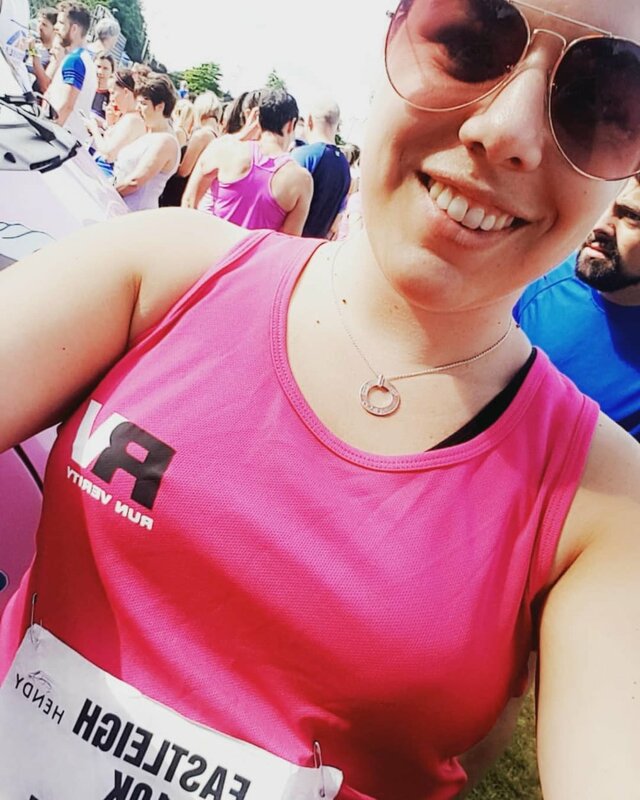 I joined Run Verity in January 2018, I decided that I need to get out of the house more and meet new people! The first night I turned up I remember being very unsure about being taught how to run but I stuck with it and listened to all the tips that were shared. I started to enjoy running with the group, and I kept going even in the rain!! The atmosphere at Run Verity is amazing, everyone is friendly and welcoming - I really feel like part of a family. I always thought running was running until I met Verity - with coaching and practise runs I have learned that there is so much more to it. Its a stress release, its time to catch up with people you have seen for a week or so, it's time to perfect your technique and ask the experts questions to help you continue to grow. With the support of Run Verity I have so far managed to complete a 10k and a half marathon this year and am currently training for the Great South in October - this is something that never would have happened with the support of my new family and he incredible coaches.